With more than 850 functions, CT-Assist, as an add-on to the software technology of SAP SE, provides significant support for IT. The guidelines issued by IT management should be available as online support for the IT workflow right down to the level of the individual IT workplaces. The workflow forms contain additional notes, tips, and links to more information for optimizing the processes in question. A consistent IT workflow (Online working papers + IT Rules) results in a continuously clear process flow and to effective knowledge transfer to a high level of detail. In addition, the permanent online availability of the documentation of the processed work steps is ensured. 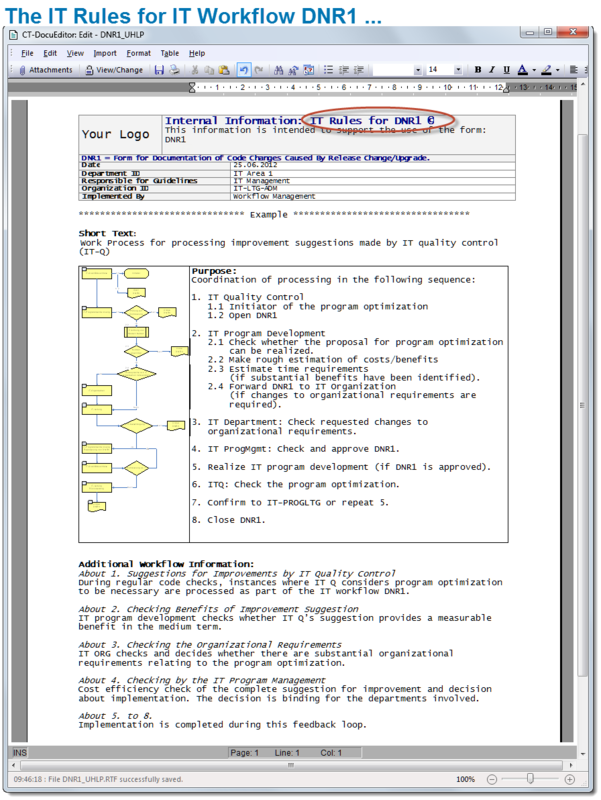 The ‘CT-Assist’ software tool can generate the valid workflow forms and accompanying working papers for more than 40 IT work processes. You can configure the templates needed for this to suit your customer-specific situation. The workflow support for this can be seen as a pragmatic addition to IT Service Management (ITSM). You define the rules for editing, checking, and disseminating the working papers that accompany the processes in separate online documents using your company-specific IT rules. The IT rules are also available at each workplace by double-clicking on a special button in the header of the generated workflow forms (e.g. per change request). 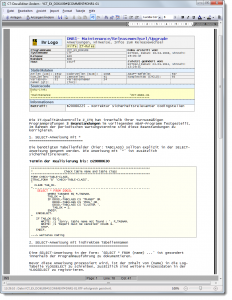 The online forms for the IT work process (= working papers) are linked to the relevant ABAP® program, report, or transaction (by link or bookmark). 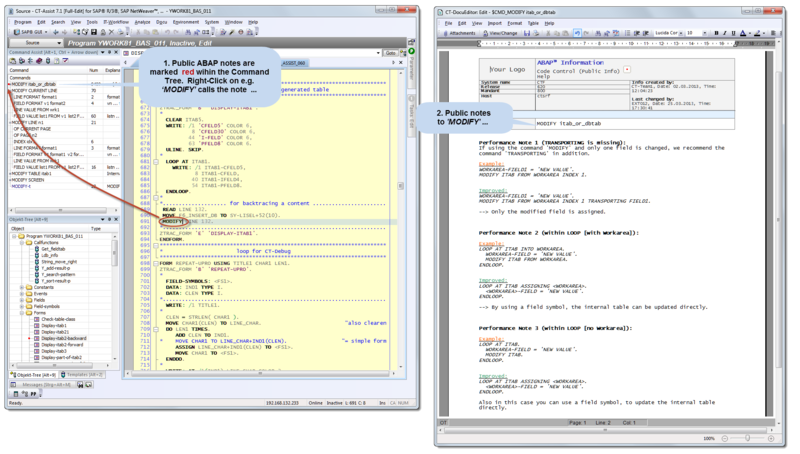 In practice, by far the greatest part of the IT workflow has one or more relations to actual ABAP code. 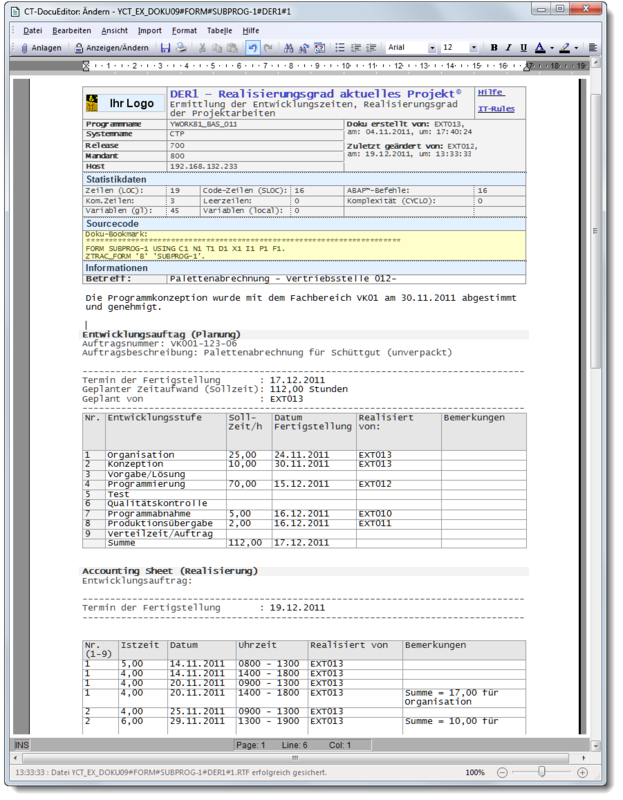 If you do not wish to assign the online forms directly to relevant ABAP code, you can link the online forms in a general documentation INCLUDE. IT Management can specify to a high level of detail which ABAP commands (or command groups) are to be preferred when programs are developed (e.g. because they provide good performance, are easy to interpret, make maintenance easy) and which are not to be used (e.g. for reasons of security). These guidelines are permanently available to developers directly at their programming workstations during code work. As soon as a developer enters an ABAP command that has been classified as critical in CT-Assist, color highlighting in the command tree indicates that there is additional information available for this command. 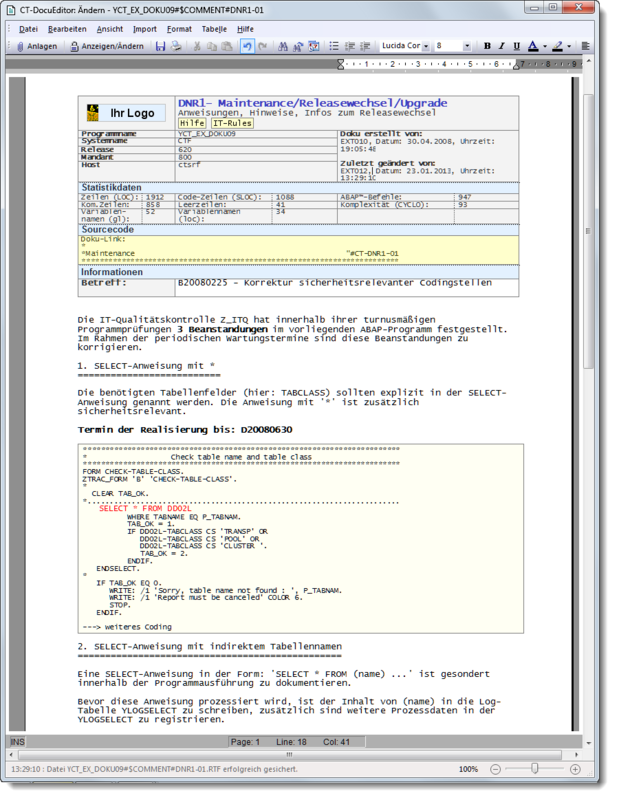 A right-click on the ABAP command displays the form with the relevant application notes. The developer can choose an appropriate alternative. 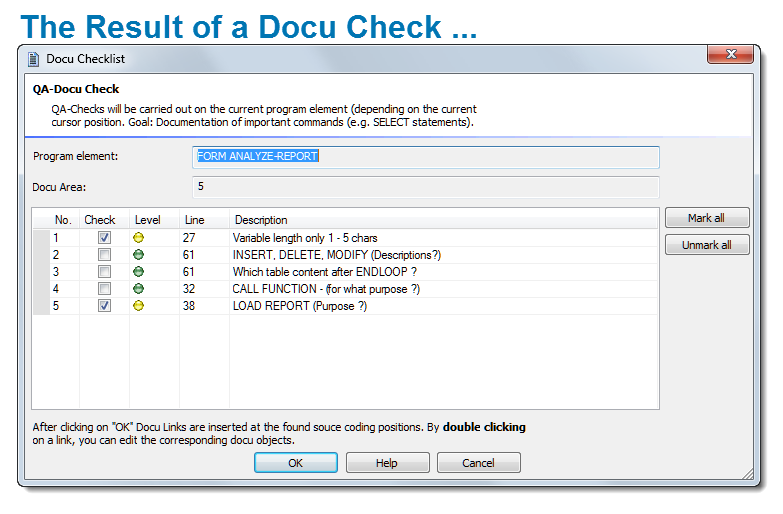 With the menu function ‘Docu Checklist’, you can analyze the code to find undocumented or critical parts of ABAP code. 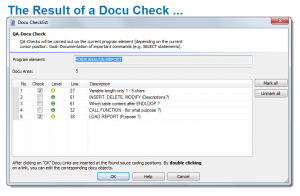 In code checklists, you specify which commands or command situations are actually to be documented in the ABAP® program under analysis and which documentation questions are to be answered. In the code checklist currently available in CT-Assist, about 60 sample check routines are provided for determining critical command combinations; customer-specific enhancements can be easily implemented. A practical, economical solution is to use online forms for the planning, entry, and evaluation of billing data. 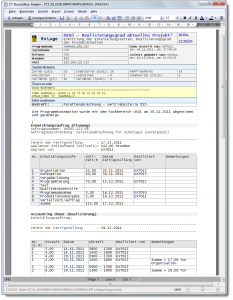 In the case of small code changes, you can alternatively document the billing data as a comment directly in the relevant code. You can define the planning and control of individual tasks in a project directly in the work forms provided (see sample form). 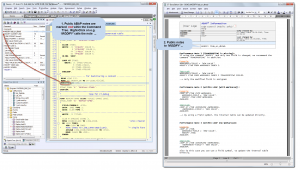 Some CT-Assist analyses allow you to check the ABAP code. Dynamically generated checklists for checking problem commands immediately highlight critical areas of code during the development phase or during maintenance. In current business practice, IT management has frequently documented work process for the IT area in work procedures, development guidelines, organizational manuals, processes descriptions, and so on. It makes sense to implement these rules and processes directly in the IT workflow, e.g. using checklists and online forms for the work process to be carried out. IT processes can be controlled using workflow forms at the level of development requests, change requests, maintenance work, performance optimization, IT auditing, team coordination, and so on. 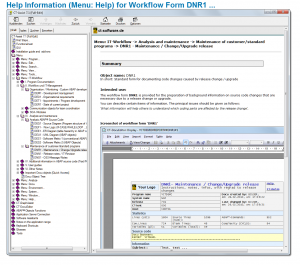 CT-Assist supports individual IT work processes with more than 40 workflow forms. These workflow forms are filled out by the IT employee during the work process as accompanying working papers (online forms) for the various work steps. The processing actions for subsequent work steps can build on the information from the preceding work steps. The entries in this working paper are available online at any time and are a valuable help for correcting errors later. 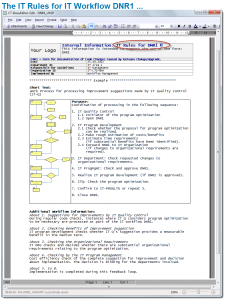 You can take a gradual approach to using the workflow forms in CT-Assist. You can start by optimizing the IT processes that you consider most important. Even the use of just a few online forms can support your work in a lasting way. 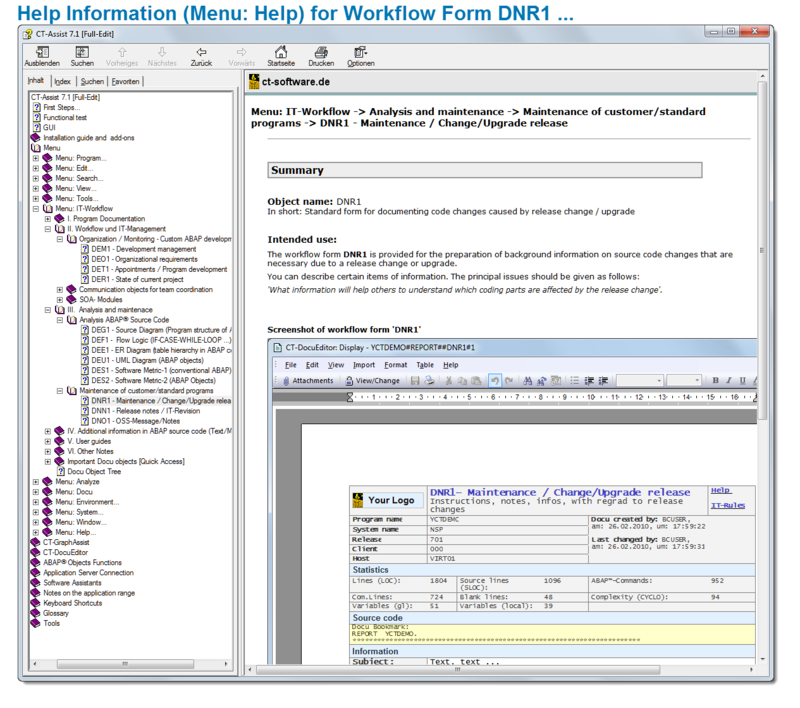 For each supplied workflow form, general help information is provided in CT-Assist directly within the accompanying working papers. You can access this information in each workflow form by double-clicking on the button “Help” in the header of the form. The information is permanently available. In CT-Assist, customer-specific online forms can also be provided with a help button.